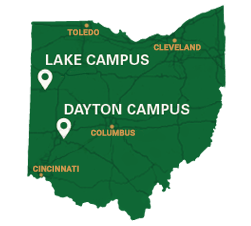 The purpose of the Staff Council is to provide a forum in which classified and unclassified staff at Wright State University are informed about ongoing and anticipated issues of interest and to give them the opportunity to voice their views regarding these issues to campus decision-makers. The purpose of the Unclassified Staff Advisory Council (USAC) is to represent its members to the university by: promoting their general welfare; advocating for unclassified staff through active participation in university governance structure; reviewing, initiating and making recommendation on relevant university policies and procedures; encouraging and facilitating communication among members; and encouraging professional development opportunities. The purpose of the Lake Staff Advisory Council (LSAC) is to facilitate communication between, and promote general welfare of all staff members; bring forth concerns, issues, and recommendations regarding individuals, policies, and procedures; plan and promote professional development opportunities. The University Center for International Education (UCIE) is fostering internationalization through limited grants. These grants expand education abroad opportunities for students while providing high-impact professional development opportunities for faculty.